Nolan Nawrocki is like the Punxsutawney Phil of the football world. Ignored all year until he suddenly emerges each February, usually to piss everyone off. The former senior editor at Pro Football Weekly, who is now at NFL.com, unofficially ushers in draft hype season on an annual basis by throwing at least one promising quarterback prospect under the bus in exaggerated, sensational fashion. You may remember what he did to Cam Newton in 2011, when a scouting report turned into what felt like a personal attack. Last year, he blasted Geno Smith in somewhat similar fashion. 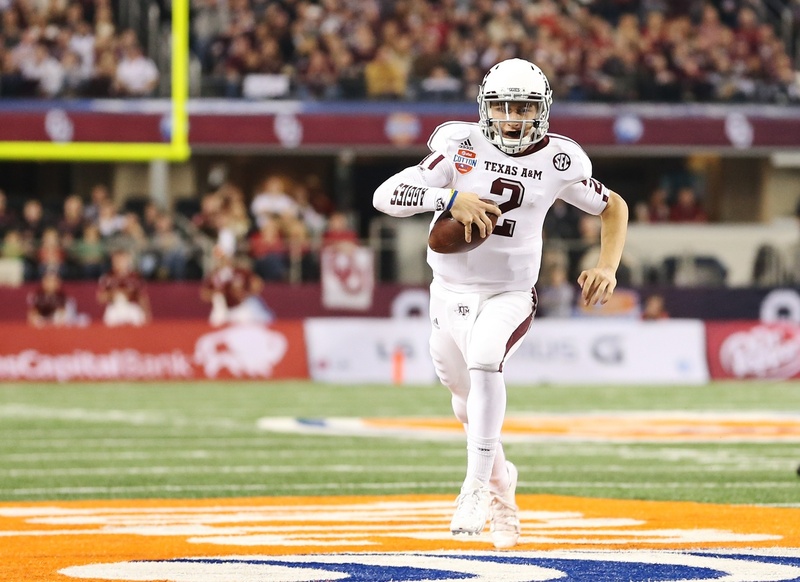 This year, he's going after Johnny Manziel, who is of course an easy target based on his lack of prototypical quarterback measurements and his off-the-field image. Suspect intangibles — not a leader by example or known to inspire by his words. Carries a sense of entitlement and prima-donna arrogance seeking out the bright lights of Hollywood. Is known to party too much and is drawn to all the trappings of the game. … Has defied the odds and proven to be a great college-system quarterback, but still must prove he is willing to work to be great, adjust his hard-partying, Hollywood lifestyle and be able to inspire his teammates by more than his playmaking ability. It's nice when media types tell it like it is, but there's a difference between doing that and saying things merely for the sake of saying things. It's clear at this point that Nawrocki relies on anonymous second-hand sources, potentially with agendas and axes to grind. We give him attention each year at this time because he works for a major outlet and goes where few others do, but the analysis itself is lacking so dearly that it's kind of an indictment on our sports media culture that he continues to get attention. Of course, we won't stop anytime soon. Nawrocki is the draft's version of Skip Bayless. He's a shock jock. He entertains us because he's extreme, and I suppose we crave that. It's unfortunate, because it's not likely to disappear. Even if Nawrocki eventually disappears and stops using cherrypicked sources to draw broad, unfair conclusions about specific prospects, someone else will be there to replace him. The worst part this year is that the controversy created by his analysis of Manziel, Jadeveon Clowney and eight others will linger a couple weeks longer than usual, since the draft falls in mid May.